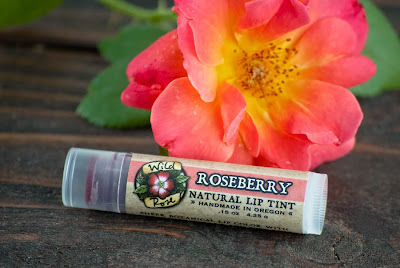 In addition to our new lip balms, we've added three new botanical lip tints to our line! Our lip tints are crafted with herbal oil infusions and color-rich clays for naturally bold color. Pomegranate Lip Tint is naturally colored with Australian Red Clay and organic herbs for a deep, intense red - one of our most vibrantly colored shades. 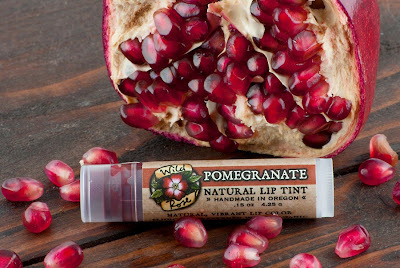 Organic Pomegranate Extract gives this tint a subtly fruity flavor. 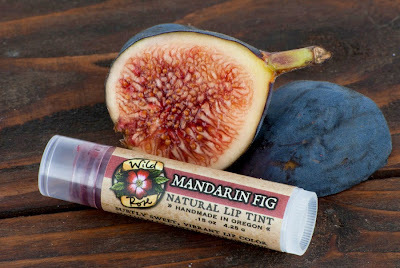 Mandarin Fig Lip Tint is naturally colored with Australian Pink Clay and Alkanet root for a vibrant and deep pinkish-red. Sweet organic fig and tangy organic mandarin are added for a subtle, yet irresistible flavor. The clay in our Pomegranate and Mandarin Fig tints make a more vibrant, matte color compared to our other lip tints. This consistency is somewhere between a lip sheer and lipstick, giving you a natural, yet saturated lip color.